Chicken Meatballs is a very popular recipe. 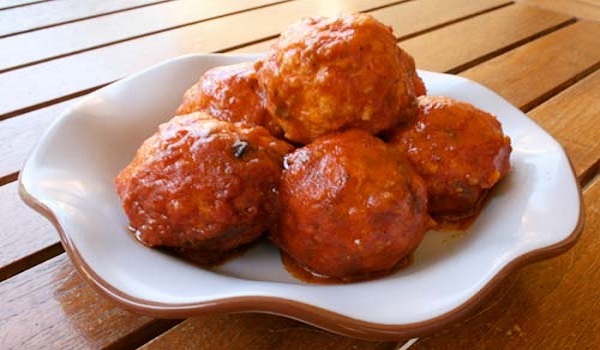 Learn how to make/prepare Chicken Meatballs by following this easy recipe. Mix all the ingredients together, except breadcrumbs, in a large mixing bowl, until very smooth. Shape into small balls and roll into breadcrumbs. Place the balls on a buttered baking tray. Bake at 350 degrees F for about 20-25 minutes, until golden brown and firm.